﻿ Suryagarh Jaisalmer (India) | FROM $74 - SAVE ON AGODA! "Beautiful property with exceptional service." 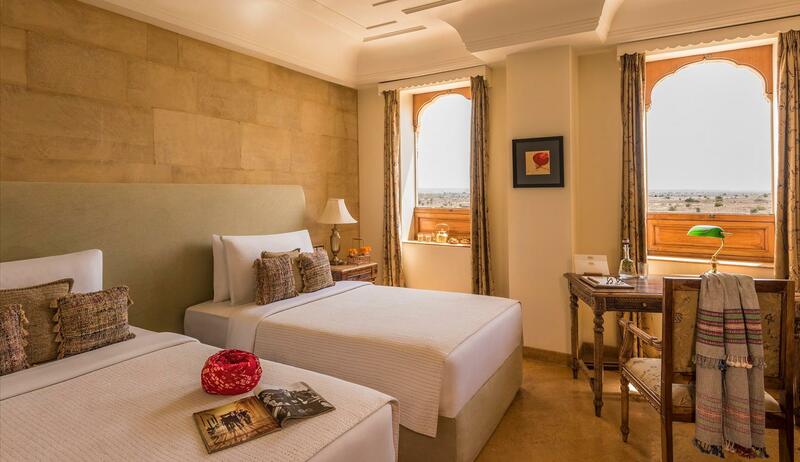 Have a question for Suryagarh Jaisalmer? "The staff were fantastic, each and everyone of them." 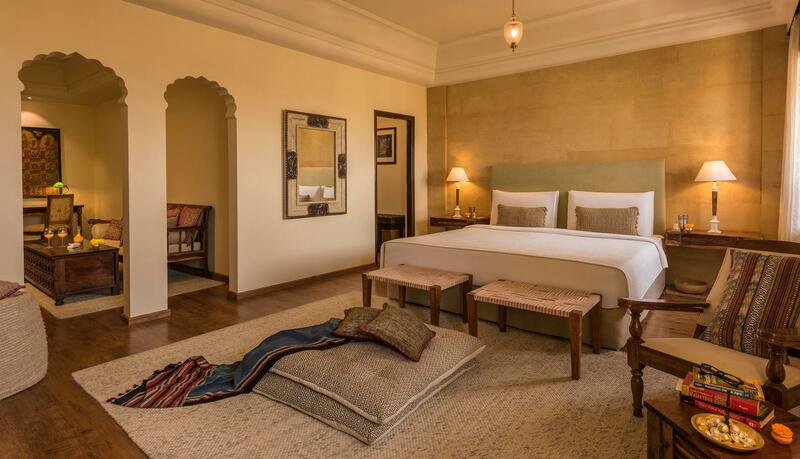 Whether you're a tourist or traveling on business, Suryagarh Jaisalmer is a great choice for accommodation when visiting Jaisalmer. From here, guests can enjoy easy access to all that the lively city has to offer. 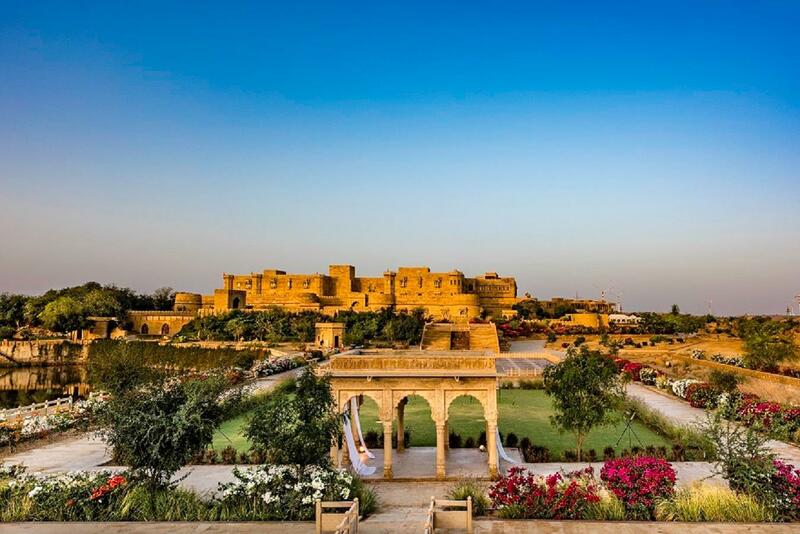 No less exceptional is the hotel's easy access to the city's myriad attractions and landmarks, such as Kuldhara Abandoned Village. 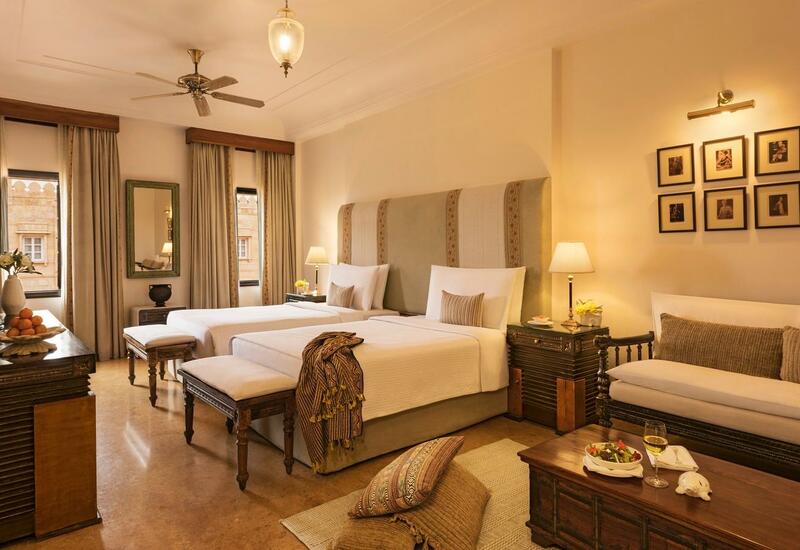 The facilities and services provided by Suryagarh Jaisalmer ensure a pleasant stay for guests. A selection of top-class facilities such as 24-hour room service, free Wi-Fi in all rooms, 24-hour front desk, facilities for disabled guests, express check-in/check-out can be enjoyed at the hotel. 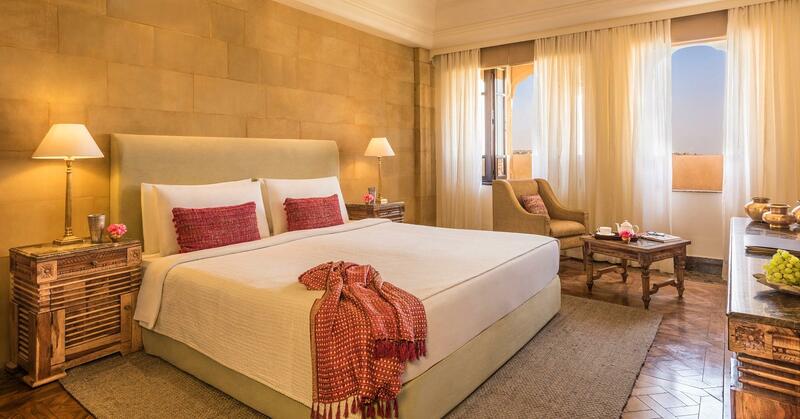 In addition, all guestrooms feature a variety of comforts. Many rooms even provide television LCD/plasma screen, clothes rack, mirror, towels, internet access – wireless to please the most discerning guest. The hotel offers wonderful recreational facilities such as hot tub, fitness center, indoor pool, spa, massage to make your stay truly unforgettable. 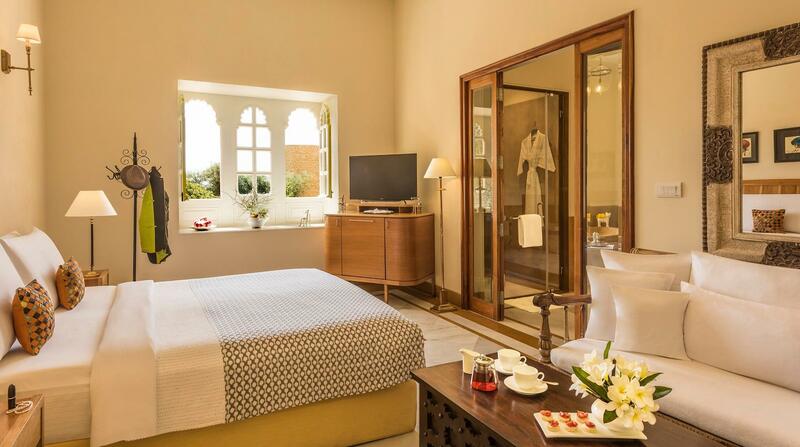 With an ideal location and facilities to match, Suryagarh Jaisalmer hits the spot in many ways. "The hotel is located 15km from the city." excellent Location, Tasty and Varieties of food. Totally different experience. As food professional i always suggest to keep local dishes which only you people has served. Dal pakwan/Bajra khichdi were excellent and services in restaurant as well. Thanks for everything. Keep it up. Absolutely fabulous hotel. The staff were fantastic, each and everyone of them. The location for us was wonderful as it was out of the hustle of the city and yet close enough to do anything in the city. The rooms were spacious, clean and well appointed. The property was nice. I wish Jaisalmer had a direct flight, just so that I can visit Suraygarh again. Beautiful property with exceptional service. Specially the buffet and the serving staff. Property was full, still there was enough space and service was good. Seems like good service is build into the culture and everyone was really good. Staff brought out breakfast items that were not on the menu, which was great. Would like to call out Manjeet for great seevice. Only thing that was lacking is giving us info on activities provided by Suraygarh. Like safari or dinner at dunes, I asked for infor repeatedly but no one reached out. Rest was great and I will definitely recommend anyone who is going to Jaisalmer. We spent 2 wonderful nights at Suryegarh. It is a little outside of city center of Jaisalmer in the middle of the desert. A charming renovated fort, you arrive there and never want to leave. Service is great, breakfast is a highlight, the rest of the food was good but way overpriced. Pool is under renovation but overall the hotel is still an amazing experience! This hotel was absolutely amazing, perfect for our family. From the numerous reading nooks and gorgeous old artifacts to sublime gardens and exceptional service, we loved every minute of our stay. The animals at breakfast enchanted our 11 and 9 year old kids. The only disappointing thing was that the main pool was out of service having repairs, so there was only a very small (but nice) pool to dip in (it was very hot, so the pool was necessary). I would highly recommend it to anyone. Note that it’s 15 minutes drive outside the craziness of the main town but this was a good thing! The facilities are immaculate. The staff caters towards all your needs, but sometimes it felt that someone is babysitting you. Some personal space without interruption during meals would be a welcome change. Overall, I would recommend the stay at this location. To visit Suryagarh Jaisalmer is atleast once in a lifetime place to visit. We were here for our first anniversary and it was a experience to remember. They have given the feel of Old traditional fort with modern touch. The peace, joy and serenity you feel and absorb at thai place is just beyond words. I will for sure come here many more times in near future. 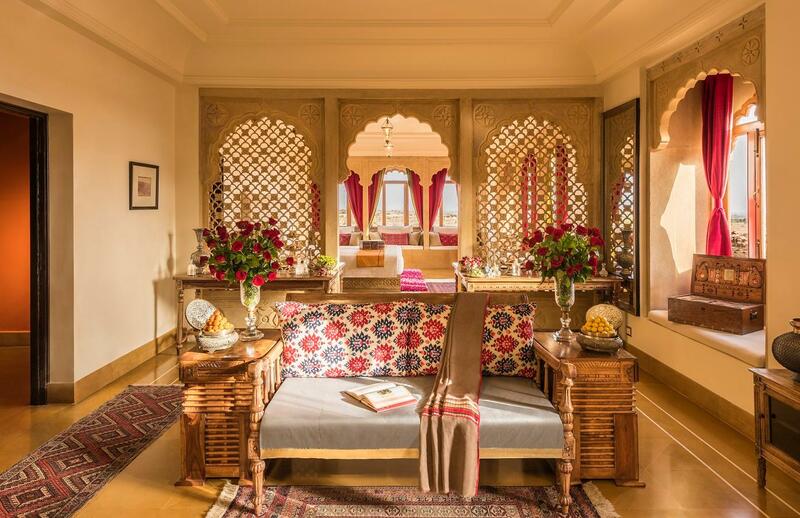 We stayed at the signature suite at suryagarh which were very comfortable and retained the perfect heritage charm. Despite a few glitches here and there the overall experience at the hotel was great. The personalized service at the hotel made us feel at home. Special mention for the staff. They are pros at taking really good care of their guests. Food quality was good. Great stay in a lovely hotel away from the pollution in the city, yet close enough since it's just a 20 minute drive to the fort. The property is beautifully laid out, the colours are restful, there's nothing that jars and the 'chudail trail' late at night is great fun - you mightn't see any ghosts but it's a delightfully spooky experience, and of course, the desert stars are awesome. The hotel is spread over vast property and have all the amenities. The highlight is the breakfast time when you have peacock, dove, tortoise running around in the lobby and you can even feed them. The children will definitely have great time playing with animals and listening to live folk songs. Staff are courteous and will ensure that you have pleasant stay. I would like to thank Mr Sagar for helping us to plan our stay and also upgrading our rooms to ensure children have direct access to lobby. A definite place to stay. impressive building and extensive grounds 6 stars service and attention to detail encountered only in other few 5 starsL world-famous hotels massage to die for think I went to heaven and back a few times in only 75 minutes would have gladly stayed another few days just mooching around well done guys! Loved the entire property and the food preparations by Chef Megh Singh Rathore. excellent property and ambience. loved it! The hotel is beautiful, the food is amazing and overall we had an excellent stay. Highly recommend it. its a fantastic hotel with best off beat location. one can easily spend about two days just enjoying hostel amenities. staff is so profession al and coperative. Great staff, sublime hotel, delicious food! We will go back.